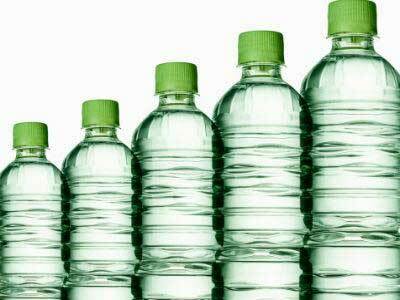 The National Green Tribunal (NGT) is slated to pronounce on Monday on whether plastic packaging of products including polyethylene terephthalate (PET) containers is safe or not. Uttarakhand-based NGO, Him Jagriti, has petitioned the NGT that given India’s extreme variations of temperature, it fears that PET containers leached harmful chemicals like phthalates and heavy metals. It has sought directions to restrict the use of plastic bottle and multi-layered plastic packaging including PET bottles by imposing a ban on packaging of carbonated soft drinks, saying unrestricted use of plastics for packaging has significant health and environment impact. The green panel had noted that the Central Pollution Control Board and the Central Drugs Standard Control Organisation (CDSO) have sought a ban on using PET bottles or plastic containers for primary packing in liquid oral formulations. In findings that could help Rs.4,000 crore Indian PET packaging industry, two separate test reports by international testers SGS and India’s Shriram Institute for Industrial Research (SIIR) have not found any traces of harmful leaching in PET containers packaging tested at varied environments. Pharmaceuticals along with soft drinks constitute about one fourth of India’s PET packaging industry. PET is made from mono ethylene glycol and purified terephatic acid. Of the 600,000 tonnes of PET production, the pharmaceutical industry uses around 16 percent, accounting for around 100,000 tonnes every year. The NGT bench had earlier indicated that it favoured “restriction” on plastic packaging of products including PET bottles and granted a final opportunity to various plastic manufacturing units and others to file their written submissions in the matter.